50% of the Amazon Rainforest could become degraded savannah if the climate changes. The world’s forests are shrinking. For years, they’ve withstood a multitude of human impact. But according to a new study published in the journal Science Advances, they may be reaching a crisis point. 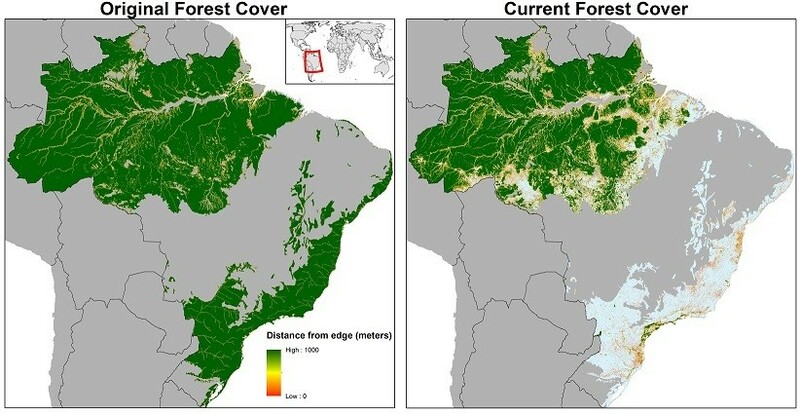 If deforestation goes beyond 20 percent of its original spread, the Amazon Rainforest will have reached the “point of no return”. In the study, Thomas Lovejoy and Carlos Nobre set out to concretely establish that tipping point, as well as concretely identify what must take place for it to be reached. Essentially, they wanted to know how far deforestation could progress before the rainforest’s water cycle would cease to support the ecosystems within it. “If the climate changes – by deforestation or global warming – there’s a risk that more than 50% of the Amazon forest becomes a degraded savannah,” Nobre told Euronews, emphasizing that in the last 50 years, deforestation has made its way to about 17 percent of the Amazon’s vegetation. By their estimates, it would take just an additional three percent to render the rainforest unsalvagable. While deforestation poses an imminent and severe risk to the rainforest, it is not the only threat to these ecosystems. Climate change and the use of fire also play a major role in this region’s ongoing ruin. In addition to its potentially decimating what’s left of the rainforest (and the wildlife that inhabit it), the degradation of the water cycle would also have a severe impact on South America’s human population. Despite this grim prediction, we have not yet reached the point where there is no turning back. The Amazon Rainforest may be close to the point of no return, but it has not yet passed it. The right kind of human intervention could help steer the forest away from imminent doom — but in light of the destruction that’s already been done, and the speed of its continuation, putting a stop to it won’t be easy.